As Missoula International Airport embarks on its new terminal project, it’s also looking to a greener future with modern efficiencies and a push to cut emissions. Airport officials plan to meet this week with the FAA as they pursue a Voluntary Airport Low Emissions grant, which could provide funding for equipment to reduce the airport’s carbon output. The grant was created by the FAA in 2004, though Missoula didn’t qualify for funding until recently. The grant is available to commercial service airports in areas with substandard or challenging air quality. Qualified projects generate what’s known as Airport Emissions Reduction Credits, which can be used to meet future emission regulation requirements. That includes converting to electric ground vehicles and providing remote ground power to parked aircraft to heat and cool an aircraft cabin. Such efforts have been successful at other airports, including Seattle-Tacoma International Airport. The FAA awarded the Port of Seattle two grants totaling more than $21 million nine years ago to provide the units that heat and cool parked aircraft and power navigational equipment. 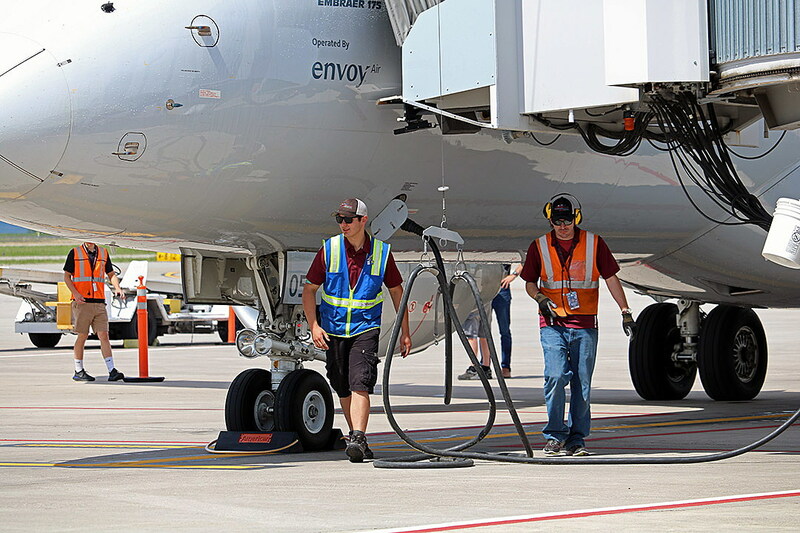 The project nearly eliminated the jet fuel consumption of parked aircraft and is expected to reduce nitrogen oxide emissions by more than 2,900 tons. A similar push at the airport in Philadelphia could eliminate 730 tons of nitrogen oxides. With the new terminal project under way in Missoula, the airport also looks to expand its geothermal system and install energy efficiency measures. That includes more efficient systems, water savings, a focus on trash reduction, and modern window assemblies. While the equipment falls in line with Leadership in Energy and Environmental Design standards, the airport doesn’t plan on pursuing true LEED certification, primarily due to the cost.